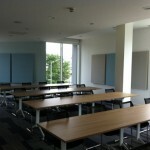 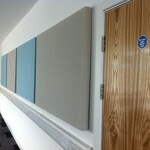 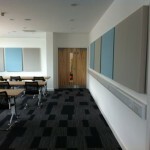 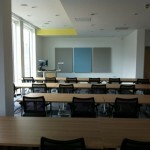 We were asked to fix meeting room acoustics issues and board room acoustics. 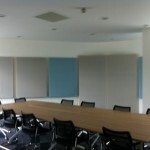 The client had issues in two board rooms, where acoustics where so bad that they couldn’t hear each other speak. 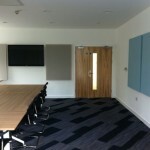 We designed a large bass trap hidden behind a 2m square acoustic panel with the addition of several large acoustic panels within the board room to reduce resonance and flutter.